Review: TUK TUK | Good Good!!! 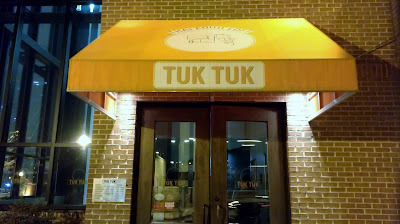 This past Friday, I had the good fortune of popping into Tuk Tuk for a full sit down meal. 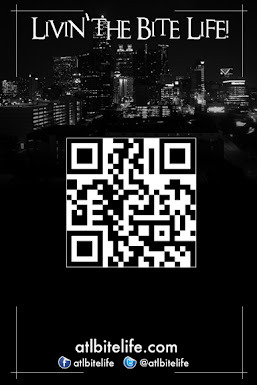 As many of my regular readers may remember, I went there for the first time about 3 weeks or so ago for the Taste of Atlanta Sneak Peek event. 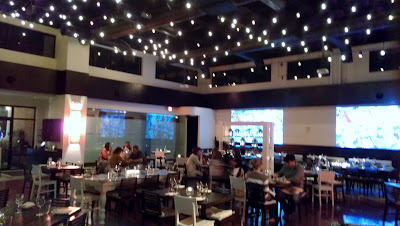 On that evening, I only got to sample a few of the menu items but this place really stood out. So, when the opportunity presented itself for me to really go for what I know, I jumped right at it. Now, this review may come off kinda like a super fluff piece because I really can't think of one bad thing to say about this place. The entire experience was dope!!! From the time I pulled into the parking lot until I time I exited back onto Peachtree, I was amazed!!! How could one restaurant get everything so right?? I'm still not sure. But I do know that you guys have got try this place out. Allow me to narrate you thru my experience - First, I pulled into a well lit, FREE parking lot right in front of the restaurant with plenty of available spaces. 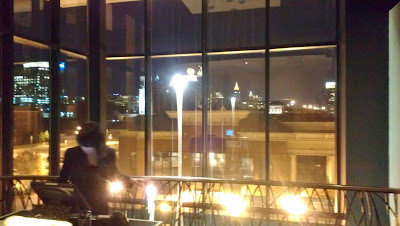 If you eat out in downtown Atlanta at all (or read this blog), you know that this is RARE. Second, as soon as I walked into the main entrance, I found myself facing 2 beautiful elevators that would take me to the second floor dining room. 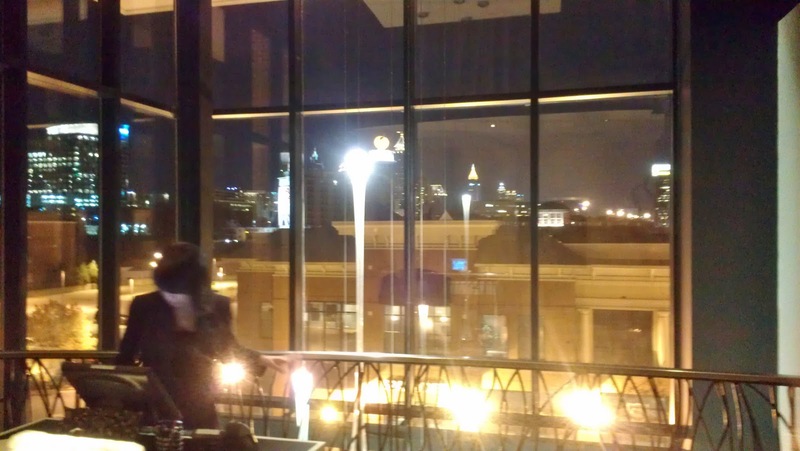 After a quick ride up, I stepped off of the elevator and was instantly WOW'd by the view. I mean, I knew we weren't that high up but to be able to see a good portion of the ATL skyline was definitely a nice precursor to the food. Then, I was escorted to the main dining area. Nice (Fabolous voice)!!! My picture above really doesn't do it justice. You just gotta see it for yourself. Then, there was the food. 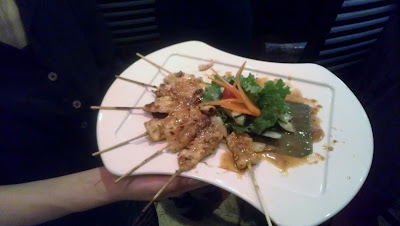 As an appetizer, the Satay Kai (grilled chicken skewers) was delicious!!! The meat was tender and the peanut sauce was a great compliment to the already flavorful chicken. On this night, I decided to play it fairly safe (as I always do on my first visits to places). I'd only been to one other Thai food place before this evening - me and super engineer Seth Firkins went to L'Thai Wine Bar - and I wasn't crazy about it. So, my mind was set on chicken or shrimp or some combination of the two. After unsuccessfully scouring the menu for something I was interested in, I finally did what any young black man would do in a nice restaurant - I made up a dish and asked the waitress if it was possible for the kitchen to make it. Smh. I'm a little ashamed of myself too. Sorry guys. I'm not too sorry though. My food was INCREDIBLE!!! 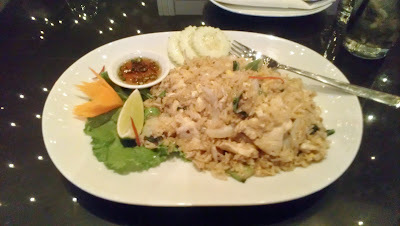 My order was basically some fried rice with chicken tossed in some Thai Hot spice (I asked for the Thai Hot spice so I could get the full "Thai experience". I actually said those words and I used air quotes to the waitress. Lol). The spice was so hot, it was on the line of being almost unbearable to eat but it was FANTASTIC!!! I haven't had a meal that good since. . . 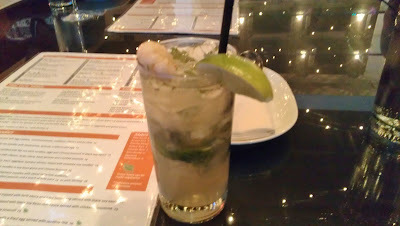 The highlight of the night, however, was my drink - a Lychee Mojito!!! I was able to get a small taste at the Sneak Peek event but, this time, I ordered a full drink. THAT ISH CRAY (Kanye West voice)!!! Ordinarily, I would run away screaming from the mere suggestion of a mojito. I hate those things!!! But, this drink!!! THIS drink!!! I've never had anything like it!!! Apparently, the lychee (which looks like a shrimp when it comes in your glass) is an Asian fruit. I didn't know that. What I also didn't know was that when you blend that darn lychee into a mojito cocktail, it turns into something very magical!!! This drink could easily make my "Best I Ever Had" category. 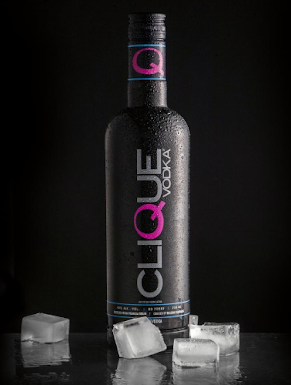 This drink is a MUST ORDER!!! I would really go back to this restaurant JUST for this drink. It's THAT good!!! 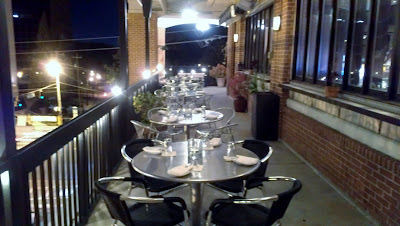 So, here's the part of the review where I would usually tell you about the downside of the restaurant. Oddly enough, I have nothing to write. This place was great!!! Even the bathroom was super nice!!! 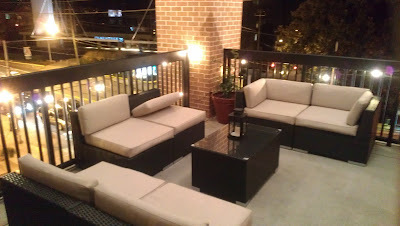 I wish it had been a little warmer because their outdoor patio is really nice and that view is everything that "ATL Bite Life" should be about. I could go on and on about how great this place was but I think you get the picture. To summarize, whenever one of you wants to go to Tuk Tuk, let me know. I'm all in!!! We can get 2 or 3 Lychee Mojitos in our systems and go crazy!!! Follow Tuk Tuk on Twitter. You can also Like Tuk Tuk on Facebook.